- How to make a booking and an enquiry? - How long do I get response after submit form? - Does your special airfares are offering for flight based out of Thailand only? - Can I request airfare that departure from other country? - How do I view my booking itinerary and check my booking status? - After my reservation is confirmed, when do I need to issue ticket? - Which airlines are now offering e-ticket out of Thailand? - If we prefer paper tickets, is there any extra fee on flight that offering e-ticket? - How do I make an airline reservation for someone else? - Do I need to reconfirm my flight before departure? - After ticket issued, can I change my travel dates? - If I cancel my ticket, do I get the refund? - What is included in airfare? - Do you charge service fees? - What are the methods of payment? - Is my credit card information safe? - How to pay for the ticket on-line at secure site? - How to receive e-ticket? - What electronic ticket looks like? How to make a booking and an enquiry? How long do I get response after submit form ? We will response to all requested within 24 hours, if you do not receive response within 24 hours, please resend us your enquiry or call us. If your reservation is confirmed, we will e-mail you the confirmation, prices and method of payment. Does your special airfares are offering for flight based out of Thailand only ? Yes, our special airfares are offered for flight originating from Bangkok, Thailand to destination worldwide. Can I request airfare that departure from other country? How do I view my booking itinerary and check my booking status? After your reservation is confirmed, we will e-mail confirmation with reservation code under Amadeus System. 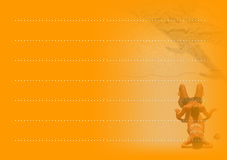 Please enter www.Checkmytrip.com and complete reservation code and your family name. Your travel itinerary will be display. After my reservation is confirmed, when do I need to issue ticket? Airline will automatically set due date to issue ticket accordance with ticket condition, we keep you inform upon booking confirmation. Which airlines are now offering e-ticket out of Thailand? Electronic ticket (e-ticket): According to IATA's regulation, all tickets are electronic tickets, unless infant ticket in some airlines is paper. After payment done, E-ticket will be send via email (E-ticket will stated passenger name, itinerary, airlines confirmation code and ticket number). Just print it out and bring for check-in reference. If we prefer paper tickets, is there any extra fee on flight that offering e-ticket ? There is no more paper tickets option. How do I make an airline reservation for someone else? After ticket issued, can I change my travel dates? If I cancel my ticket, do I get the refund? Airline has different rules and policies on cancellation and changes. SaveFlights.com will let you know ticket conditions, cancellation and changes policies before you buy your tickets. If you have specific questions, please do not hesitate to contact one of our staff before purchasing tickets. - Flight/date change not allow both inbound/outbound sectors. How do I request a ticket cancellation and process refund? Process of refund with airlines takes 2-3 months. Fares shown are for one adult economy class, quoted in Thai Baht. 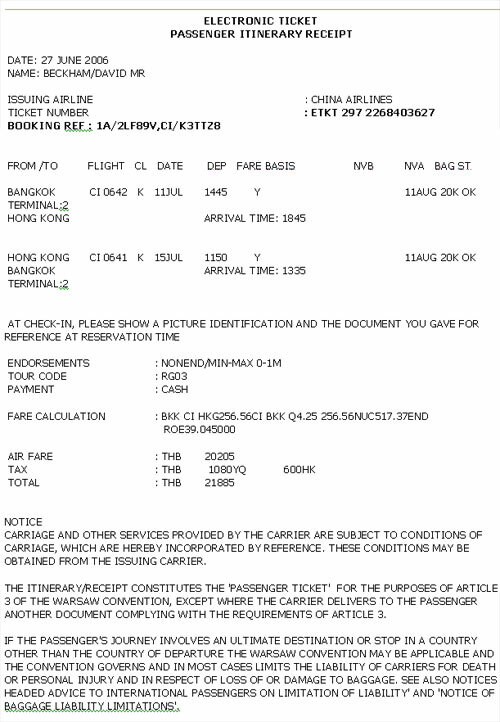 These fares are included airline-imposed fuel surcharges, Bangkok airport tax (THB 700). This method is exclusive for customer within Bangkok area only, upon ticket delivery, you can pay cash to SaveFlights.com's messenger who provides you the evidence of receipt in return. This method do not available for student/youth ticket, Air India, India Air, Royal Nepal Airline, Egypt Air and some special promotion air-tickets. You can safely shop at SaveFlights.com by using your VISA and MasterCard from any issuing banks. We will email booking confirmation together with secured online payment site, the system will be linked to our representative bank's web page where your credit card information must be filled and processed. Credit card information will be encrypted and transferred under secured server. Once the transaction is approved, the system will show 'COMPLETED' page. If page show 'rejected', please contact your bank to authorize charges. This is off-line system, We will email booking confirmation together with secured online payment site, where your credit card information must be filled, page will be showed completed and then we need to get approved code from Amex. After approved, payment confirmation will be sent via email to you. The importance of security for our clients is of utmost concern to us. We exercise great care in providing secure transactions from your computer to our server. All your transactions are protected by powerful Secure Sockets Layer (SSL) encryption technology. How to pay for the ticket on-line at secure site? 2. Enter the secured online site and complete contact detail, services information and then click submit button. You will be redirected to Krungsri credit card e-Payment. 4. Krungsri e-Payment system processes the online authorization and display the transaction status. 5. After transaction completed, you will receive email confirmation of order from Bank of Ayudhya PCL.(www.KrungSri.com). How to receive e-ticket ? Once we issue e-ticket, we will e-mail or fax you the Electronic Ticket Receipt. In Electronic Ticket Receipt will indicate your full flight information, airlines confirmation code, ticket number. Please print-out this e-ticket receipt as your check-in preferences and in case the immigration authorities require proof of purchase. Important Note: Upon receiving of tickets, please check the accuracy of names, itinerary of your tickets/vouchers. If you have any problem, please contact us within same day; otherwise, SaveFlights.com will not responsible for extra/compensation occurred. What electronic ticket looks like?